Spiders are a divisive creature when it comes to public opinion. Some people love them and find them fascinating and others hate them. Either way, none of us want our homes to become overrun with these arachnid guests. 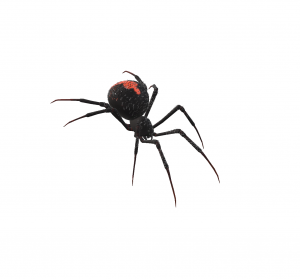 This is partly because spiders are one of the most difficult household pests to keep on top off due to their movements, behaviour and ability to evade more common treatment measures that would be in use for other creatures. So what can we do to improve the situation? The first problem comes in restricting the ability of spiders to enter the home. This means keeping an eye on webs that connect to the house and watching out for ground-dwelling spiders in the garden. It pays to be alert for disturbances while gardening, to avoid leaving too many items of clothing or toys lying around and to wear sensible footwear. One of the obvious solutions for pest control is to spray the walls of the room in an attempt to contaminate the creature. This works fine for those creatures that spend the majority of these time in the crevices and walk on the surface. 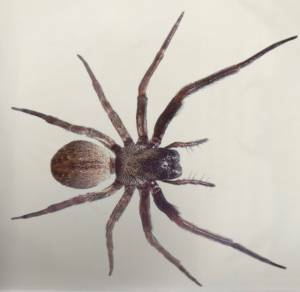 However, spiders change locations frequently and they travel via webs. These silky threads allow them to avoid the treated surface and relocate to a new area. This indirect approach doesn’t really work and you may find that the spiders remain a problem for a long time. The only solution is to target webs and nest where you can be sure of a direct hit. If you can spray spiders directly, you will be sure of success. When a spider is eliminated, it pays to clear the webs entirely. This means a thorough clean in all corners and crevices where they may have set themselves up and on the exterior of the home where they may have entered the building. There are two reasons for this. Firstly, a remaining web can act as a transport network for other spiders looking to fill the vacated territory. Secondly, a web around a nest could contain eggs and young. You might dispose or one adult, only to find that there are many members of the next generation yet to arrive in the near future. There are methods that are achievable by yourself, particularly the maintenance of webs and watching out for potential invaders. However, there are problems with the approach that some may not be able to handle. First of all, there is that direct approach of an instant hit on the creature. This may be easier for experienced pest control experts than those that can’t detach from the kill. Then there is the issue that many homeowners are simply afraid of spiders and won’t go near a web, let alone a live spider. This is where is important to call on a team like Sunnystate Pest Control for a quick, effective approach.